Stylish and ultra-modern, the Macdonald Monchique Resort & Spa, north of Portugal’s popular Algarve region, is certainly of its time. Spectacularly angular, it is almost entirely grey and white, reflecting a minimalism that also contributes to the deliberately spacial design. 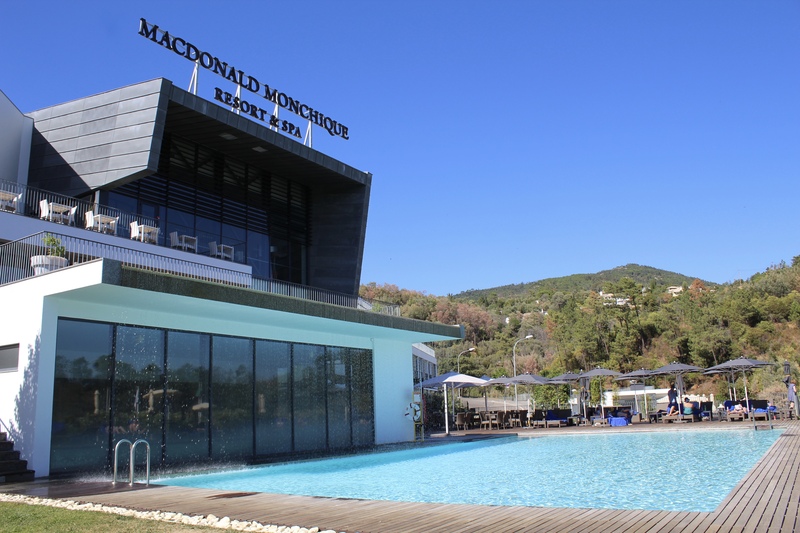 It is the Scots-based Macdonald group’s second hotel in Portugal and represents a £4 million move into the top end of the market where it hopes to capture a discerning clientele looking for an authentic Iberian experience. The location, in the hilly region of Monchique, 20 or so miles north of the Algarve beaches, has been chosen to provide an antidote to the more crowded and noisier parts of the region, a place to get away from it all and enjoy your own space in a quieter, calmer environment. To that extent, it works a treat. There may be a lot of unused public areas, but as marketing & sales director Magdalena Osmola explains, it gives each visitor plenty of room and an opportunity to properly chill out. The design, however, has also created a navigational conundrum. The 190 rooms are arranged in three terraced blocks on the side of a mountain and were constructed that way to keep within height restrictions. This also made it easy to get lost. Thankfully, bemused guests saw the funny side of trying to work out how to get from A to B, and also to C. You may take the lift to level eight, but find yourself in the wrong block. Want to go to reception? That will be floor 11, except the lift has no number 11. You have to press 1 twice, or the star button, explained the girl running the grocery store to another disoriented guest. “Yes, we are looking at the signage to make it easier to understand the layout,” said Ms Osmola. That aside, the Monchique makes an impressive statement as a restful and luxury five-star destination, sharing a hillside and fabulous views with the mansions owned by mainly British ex-pats who are rumoured to include former Prime Minister David Cameron. Our terraced room was arranged as a comfortable one-bed apartment, with an extra shower and toilet, though extra plug points in the kitchen would have enabled the kettle, toaster and coffee maker to be switched on at the same time. There are four restaurants serving tapas, pizzas (targeted at families), breakfasts and evening meals. Mon Chic is the fine dining restaurant whose head chef is Louis Anjos, Portugal’s young chef of the year. The menu of local dishes and wines was faultless. However, if you want fine dining, make sure the restaurant is open when you go as it was closed on at least one night during our stay. 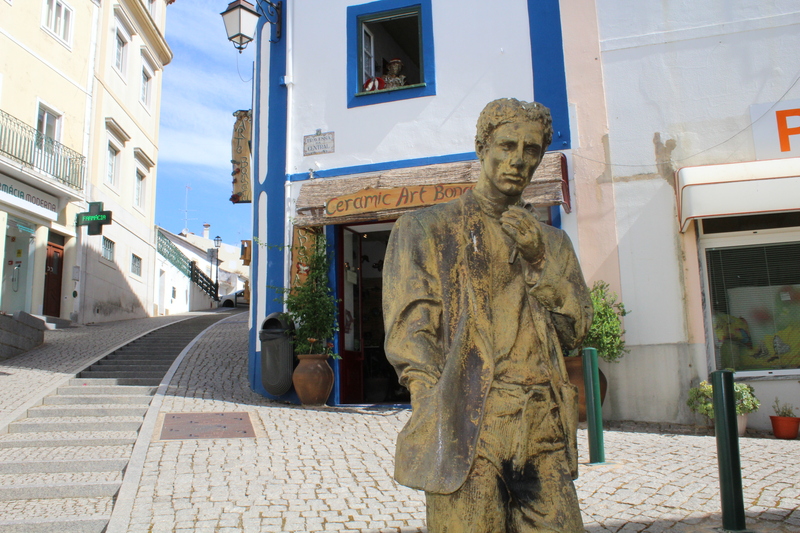 There are restaurants along the approach road, including the Foz de Banho just five minutes walk away, serving local produce, and the Luar de Foia, regarded as one of the top-rated in the area. The spa is arguably the hotel’s best feature. Run by Loch Lomond born Carolyn Brown, it has everything the user would expect, including spectacular ‘forest’ showers complete with thunder and lightning effects. The pool is warm and welcoming and there are treatments for every physical ailment. This is highly recommended. Visitors can enjoy a range of gym-based activities while many will be drawn to the surrounding natural habitat. This area is known for its flora and birdlife and guided walks can be arranged. There are trails for mountain bikers, and no visitor should leave without a trip to the pretty nearby town of Monchique and the village of Caldas de Monchique, source of the local spa water. 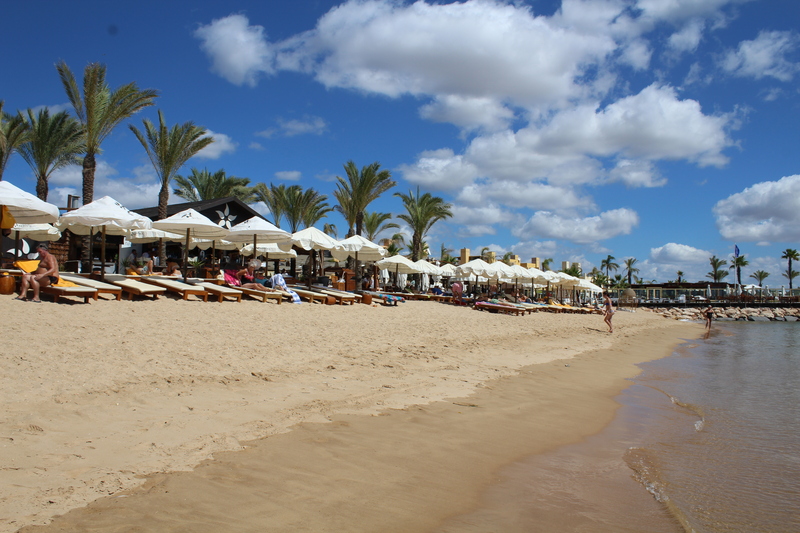 The beaches can be reached in 20 minutes by car (hire can be arranged) and we managed to squeeze in a day on the beautiful Praia da Rocha in Portimao. Golfers can choose from at least four nearby courses. Scottish golfer Stephen Gallacher was due to host a dinner in the hotel ahead of the Portugal Masters at Vilamoura. For those of us also wanting to work the wi-fi worked perfectly with a connection anywhere around the hotel and within the grounds. One final suggestion. The main breakfast/restaurant is tucked away, buried inside the building. Meanwhile, the seating outside the fine dining area overlooks the outdoor pool and has spectacular views over the hills and to the sea. Yet I saw no one sitting there for the whole week. This would make a far better breakfasting area. What a great way to start the day in lovely sunshine and with one of the best views in the whole country. Just a thought. 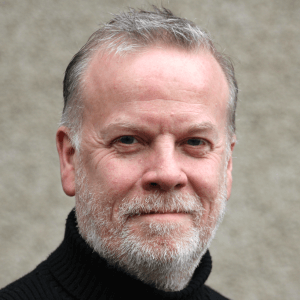 The author part-paid for a six-night stay in a terraced suite with view, costing €249 per night B&B. Two hours in the thermal spa cost €35, facials €85-90 per hour, and a massage €60 for 40 minutes. A meal in Mon Chic comprising pork loin for starters, leg of lamb for main and olive ice cream for dessert cost €42. A bottle of Contraste red (tinto) wine from the Douro region in northeast Portugal was €24. Flights by Ryanair from Edinburgh to Faro. Transfer from the hotel took one hour and cost €80 each way.